After a comprehensive exam, we will develop a cosmetic plan for improving the appearance of your smile. Veneers, also called laminates, are long lasting, stain resistant, and require only two visits for the complete treatment. In fact, you’ll leave the first appointment with a set of temporary veneers while your custom final veneers are being crafted at a lab. Because we custom craft each patient’s veneers, you can choose the shape, color, and style that best compliments your appearance and the image you want to achieve. 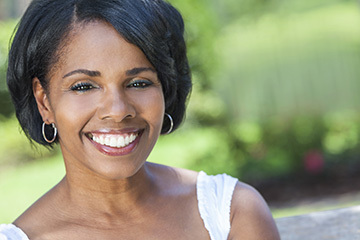 Dental care for veneers is no different from regular dental care. Clean and floss your new smile daily, visit us regularly for professional care and maintenance, and consider wearing a night-guard to prevent teeth grinding while you sleep.